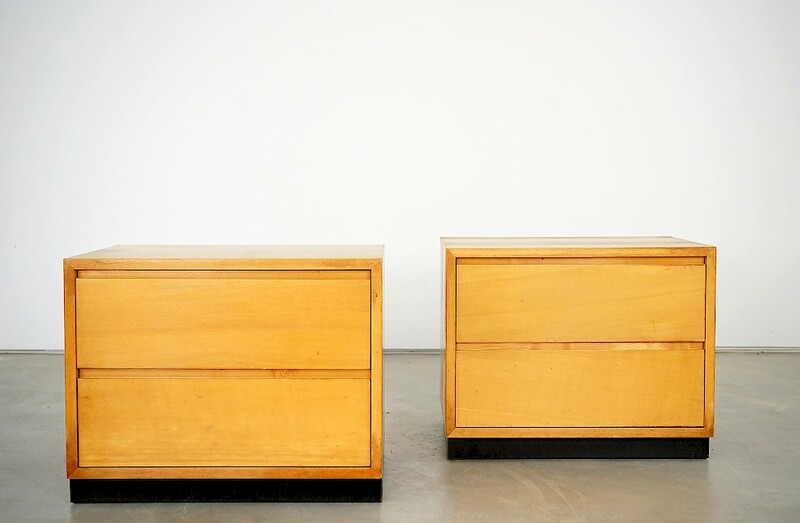 Two practical side tables made of cherry wood designeds by Helmut Magg. The pieces are in a very good vintage condition with age-appropriate signs of wear. The drawers are of high quality. One of the side tables has a sticker from the manufacturer WK Möbel. The other side table has a removable double bottom in the upper drawer. On request, the single bedside tables are also available for sale individually.